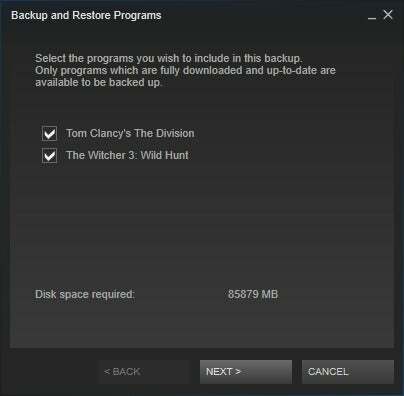 It's easier to keep a local back up than downloading your Steam games again—especially for the 50GB monsters. The common wisdom for PC backups is you need three copies of your files: the active copy on your hard drive, a local backup, and a remote backup. When it comes to games, the rules are no different. If you're a Steam user, Valve takes care of the remote backup portion since you can re-download purchased games from Steam at any time. But it also pays to make a regular local backup of your game files—especially since game downloads can be utterly massive. Now let's get down to the business of backing up your game files. First, launch Steam from the Start menu and select Library. Back-up your Steam games from the Library. A smaller window appears, listing all the games downloaded to your machine. 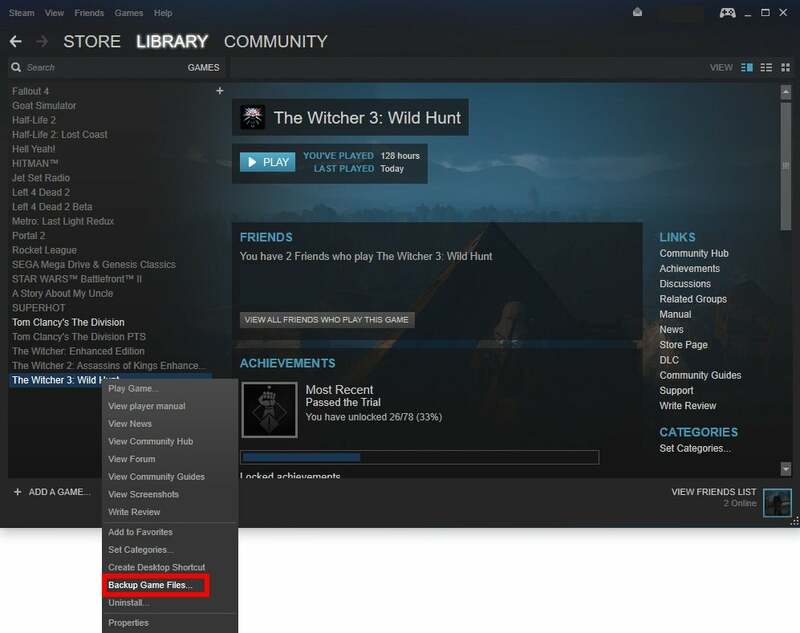 Check the box next to the titles you want to backup; as you select games, the disk space required will be displayed at the bottom of the window. Once you're ready to start backing up, click Next. The following screen displays where the games will be backed up. By default, the location is usually C:/programs files (x86)\steam\Backups. If you want to change that click Browse... and choose the folder you want or create a new one. Now you'll be asked to name your backup files--a name is automatically generated for you based on the games your backing up. Below that are two storage compression sizes. You can either store your files as though you were stashing them on a CD or DVD. Choose the version you want and click Next. TIP: If you plan on backing up all of your games, Valve recommends adapting the method described in the Moving a Steam Installation and Games support document. Now your backup will start. Don't worry about the fact that Steam is smooshing all your games together in one big backup. Steam will sort all that out for you when you restore them by opening the desktop program and going to Steam > Backup and Restore games... Valve also has a brief support document online for reference about using Steam's backups feature and how to restore your games. 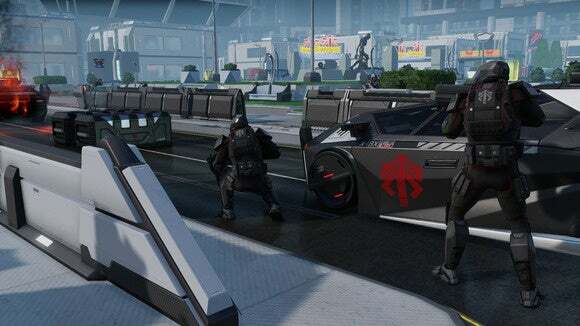 If you're looking for more expert Steam tips, check out our tutorial on 15 obscure Steam features that can power up your PC gaming.